Nevertheless, the D800 has a major sweetener and that’s in its video capabilities. The D800 has many improvements over the D700, being able to shoot 1080p flicks with live aperture adjustment; it also has microphone, headphone and uncompressed HDMI out jacks. 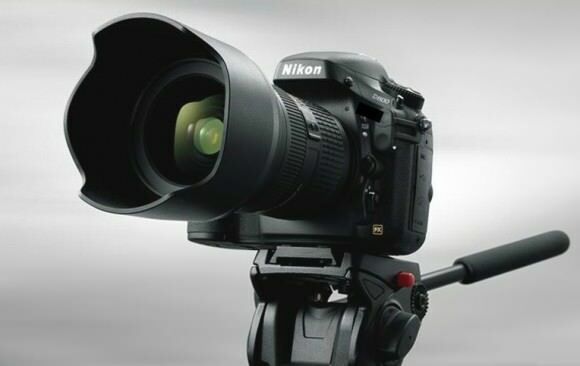 Obviously, Nikon is targeting the Canon EOS 5D Mark II crowd with the D800. If videography isn’t your game, Nikon will also be offering an additional model, titled D800E, which uses a different low-pass filter system for little to no antialiasing. This should result in better stills with greater overall resolution at the expense of video. Your three big ones will buy you a weather and dust sealed magnesium body, rear 921,000-dot 3.2-inch LCD display and dual CF and SD card slots. If you are anxious for more details, you can read the pretty lengthy official press release below. You also be able to find sample images from the D800 here and D800E here. 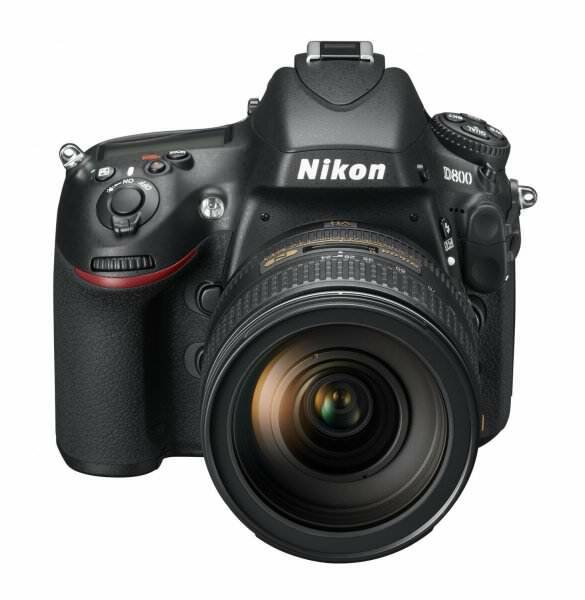 MELVILLE, N.Y. (Feb 6, 2012) – Today, imaging leader Nikon Inc. announced the highly anticipated D800 HD-SLR, engineered to provide extreme resolution, astounding image quality and valuable video features optimized for professional still and multimedia photographers and videographers. A camera with an unmatched balance of accuracy, functionality and image quality, the Nikon D800 realizes innovations such as a high resolution 36.3-megapixel FX-format CMOS sensor, a 91,000-pixel RGB Matrix Metering System, Advanced Scene Recognition System and many other intuitive features designed to create the preeminent device for the most demanding photo and video applications. Whether shooting high fashion, weddings or multimedia content, Nikon’s highest resolution sensor to date, a groundbreaking new 36.3-megapixel (7360 x 4912 resolution) FX-format CMOS sensor, affords flexibility and astonishing image quality to satisfy a myriad of client requests. The Nikon D800 incorporates the latest 91,000-pixel 3D Color Matrix Metering III and the Advanced Scene Recognition System, coupled with an improved 51-point AF system for images with amazing sharpness, color and clarity. With its compact, lightweight D-SLR form factor and extensive video feature set, the D800 allows photographers to transition to multimedia to create an immersive story. Professional videographers will appreciate practical features that go beyond NIKKOR lens compatibility and Full HD 1080p video, such as full manual control, uncompressed HDMI output, and incredible low-light video capability. With this innovative combination of features, the D800 celebrates resourcefulness and a dedication to the flawless execution of an epic creative vision. All of this is driven by Nikon’s latest EXPEED 3™ image processing engine, providing the necessary processing power to fuel amazing images with faithful color, a wide dynamic range and extreme resolution. The new Nikon developed 36.3-megapixel FX-format (35.9 x 24mm) CMOS sensor realizes Nikon’s highest resolution yet, and is ideal for demanding applications such as weddings, studio portraiture and landscape, where there is no compromise to exceptional high fidelity and dynamic range. Nikon’s first priority is amazing image quality above all else, and resolution of this magnitude affords photographers the ability to portray even the smallest details, such as a strand of hair, with stunning sharpness or crop liberally with confidence. Photographers also shoot with the assurance of NIKKOR lens compatibility, because only a manufacturer with decades of optical excellence can provide the glass to resolve this kind of extreme resolution. For shooting with minimal noise in a variety of lighting conditions, the D800 features a wide native ISO range of 100-6400, expandable to 50 (Lo-1)-25,600 (Hi-2). Nikon engineers have created innovative ways to manipulate light transmission to the sensor’s photodiodes, giving users the ability to shoot with confidence in challenging lighting conditions. Internal sensor design, an enhanced optical low pass filter (OLPF) and 14 bit A/D conversion with a high signal to noise ratio all contribute to a sensor capable of excellent low light ability despite the extreme resolution. Every aspect of this new FX-format sensor is engineered to deliver amazing low noise images through the ISO range and help create astounding tonal gradation and true colors, whether shooting JPEG or RAW. Images are further routed through a 16-bit image processing pipeline, for maximum performance. To further enhance versatility, users are also able to shoot in additional modes and aspect ratios such as 5:4 to easily frame for printed portraits or a 1.2X crop for a slight telephoto edge. For even more versatility, photographers can also take advantage of Nikon DX-format lenses for more lens options and enhanced focal range (1.5X), while still retaining sharpness and details at a high 15.4-megapixel (4800×3200) resolution. Contributing to the camera’s rapid performance and amazing image quality is Nikon’s new EXPEED 3 image processing engine that helps professionals create images and HD video with amazing resolution, color and dynamic range. From image processing to transfer, the new engine is capable of processing massive amounts of data, exacting optimal color, rich tonality and minimized noise throughout the frame. Despite the immense data, the new EXPEED 3 also contributes to energy efficiency, affording the ability to shoot longer. The D800 also features the Advanced Scene Recognition System with the 91,000-pixel 3D Color Matrix Meter III to provide unrivaled metering in even the most challenging of lighting conditions. At the system’s core is a newly designed RGB sensor that meticulously analyzes each scene, recognizes factors such as color and brightness with unprecedented precision and then compares all the data using Nikon’s exclusive 30,000 image database. Additionally, this new sensor now has the ability to detect human faces with startling accuracy, even when shooting through the optical viewfinder. This unique feature is coupled with detailed scene analysis for more accurate autofocus (AF), Auto exposure (AE), i-TTL flash control and even enhanced subject tracking. The Color Matrix Meter also emphasizes priority on exposure of the detected faces, allowing for correct exposure even when the subject is backlit. Even in the most difficult exposures the D800 excels, such as maintaining brightness on a bride’s face while retaining the dynamic range to accentuate the intricate details of a wedding dress beside a black tuxedo. Advanced new automatic systems make it even easier to capture amazing images. The camera features a new enhanced auto white balance system that more accurately recognizes both natural and artificial light sources, and also gives the user the option to retain the warmth of ambient lighting. Users can expand dynamic range with in-camera High Dynamic Range (HDR) image capture, and enjoy the benefits of Nikon’s Active D-lighting for balanced exposure. 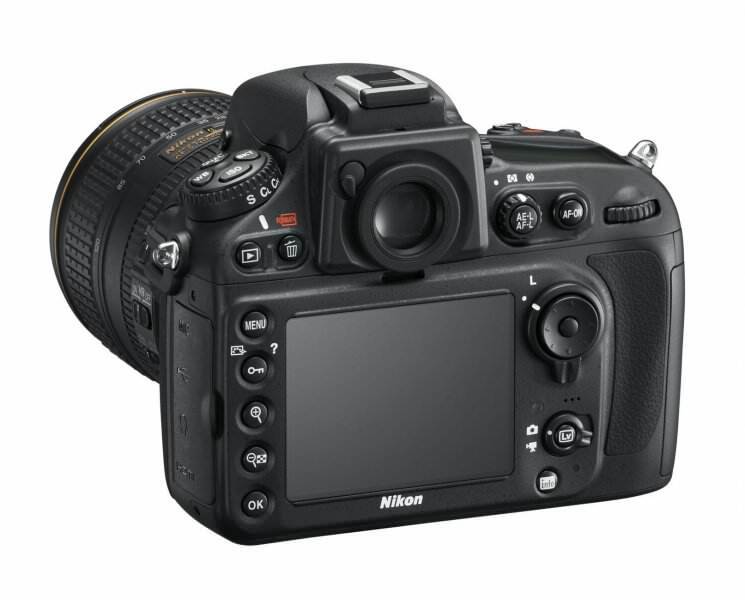 Another new feature is direct access to Nikon’s Picture Control presets via a dedicated button on the back of the body to tweak photo and video parameters on the fly, such as sharpness, hue and saturation. 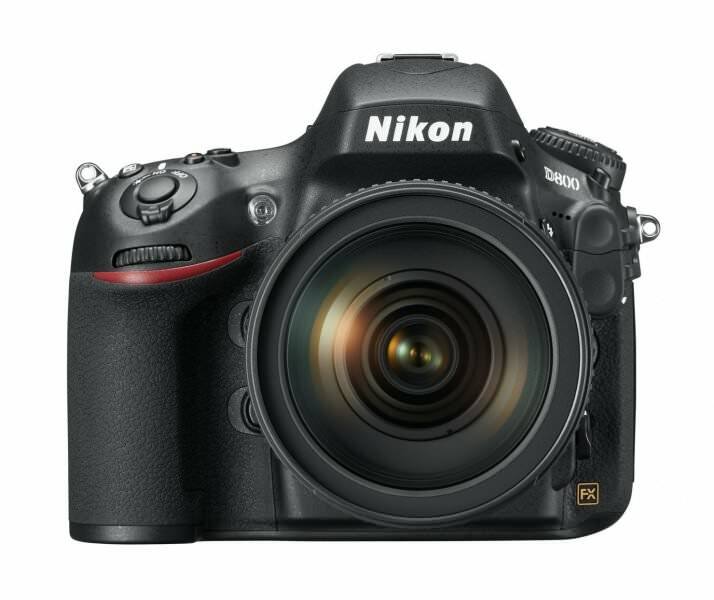 The Nikon D800 has a compact and lightweight form factor that’s preferable for a production environment, yet is packed with practical and functional features. The D800 is ideal whether the user is a filmmaker on location or in the studio or a documentarian in the field who requires portability and the NIKKOR lens versatility and depth of field that only a HD-SLR can offer. Filmmakers have the choice of various resolutions and frame rates, including Full HD 1080 at 30/24p and HD 720 at 60/30p. By utilizing the B-Frame data compression method, users can record H.264/MPEG-4 AVC format video with unmatched integrity for up to 29:59 minutes per clip (normal quality). This format produces higher quality video data without increasing file size for a more efficient workflow. The optimized CMOS sensor reads image data at astoundingly fast rates, which results in less instances of rolling shutter distortion. The sensor also enables incredible low-light video capability with minimal noise, letting filmmakers capture footage where previously impossible or expensive and complex lighting would otherwise be necessary. Users are also able to have full manual control of exposure, and can also adjust the camera’s power aperture setting in live view for an accurate representation of the depth of field in a scene. Whether shooting for depth of field in FX-format mode, or looking for the extra 1.5X telephoto benefits of DX mode, the high resolution sensor of the D800 allows videographers to retain full 1080p HD resolution no matter which mode they choose to best suit the scene. Users are also able to easily compose and check critical HD focus through the 921,000-dot, 3.2-inch LCD monitor with reinforced glass, automatic monitor brightness control, and wide viewing angle. For professional and broadcast applications that call for outboard digital recorders or external monitors, users can stream an uncompressed full HD signal directly out of the camera via the HDMI port (8 bit, 4:2:2). This output signal can be ported into a display or digital recording device or routed through a monitor and then to the recording device, eliminating the need for multiple connections. This image can also be simultaneously viewed on both the camera’s LCD and an external monitor, while eliminating on-screen camera status data for streaming purposes. The D800 also includes features concentrated on audio quality, such as a dedicated headphone jack for accurate monitoring of audio levels while recording. Audio output levels can be adjusted with 30 steps for precise audio adjustment and monitoring. The D800 offers high-fidelity audio recording control with audio levels that can be set and monitored on the camera’s LCD screen. A microphone connected via the stereo mic jack can also be adjusted with up to 20 steps of sensitivity for accurate sound reproduction. What’s more, recording can be set to be activated through the shutter button, opening a world of remote applications through the 10-pin accessory terminal. Whether shooting the runway or fast moving wildlife, the enhanced 51-point AF system of the D800 delivers blazing fast AF with tack-sharp results. Nikon has enhanced the Multi-Cam 3500-FX AF sensor module and algorithms to significantly improve low light acquisition, for precise focus to an impressive -2 exposure value (EV). The focus system utilizes 15 cross-type AF sensors for enhanced accuracy, and the system also places an emphasis on the human face, working in conjunction with the Advanced Scene Recognition System to provide accurate face detection even through the optical viewfinder. The camera also utilizes nine cross-type sensors that are fully functional when using compatible NIKKOR lenses and teleconverters with an aperture value up to f/8, which is a great advantage to those who need extreme telephoto focal lengths (single cross type sensor active with TC20E III). For maximum versatility in all shooting situations, whether photographing portraits or static subjects, users are also able to select multiple AF modes, including normal, wide area, face tracking and subject tracking to best suit the scene. The D800 delivers upon a professional’s need for maximum speed when it counts. The camera is ready to shoot in 0.12 seconds, and is ready to capture with super-fast AF and response speed. To photograph action in a burst, the camera shoots up to 4 frames per second (fps) in FX mode at full resolution, or up to a speedy 6 fps in DX mode using the optional MB-D12 Battery Pack and compatible battery. Further enhancing the speed of the camera and overall workflow, the D800 utilizes the new USB 3.0 standard for ultra fast transfer speeds. The body of the D800 is designed to offer a compact form factor and a lightweight body for the utmost versatility. The chassis is constructed of magnesium alloy for maximum durability, and is sealed and gasketed for resistance to dirt and moisture. Users are able to easily compose through the bright optical viewfinder, which offers 100% frame coverage. For storage, the D800 has dual card slots for CF and SD cards, and offers users the ability to record backup, overflow, RAW/JPEG separation, and the additional option of shooting stills to one and video to the other. For high speed recording and transfer, data can be recorded to recent UDMA-7 and SDXC / UHS-1 cards. The shutter has been tested to withstand approximately 200,000 cycles, and the camera also employs sensor cleaning. The D800 also features a built-in flash and is compatible with Nikon’s acclaimed Creative Lighting System, including a built-in Commander mode for controlling wireless Speedlights. In addition to the D800, Nikon will also be releasing a supplementary model for those professionals who demand even higher resolution and D-SLR versatility; the D800E. This model treads in medium format territory for studio work or landscape photography when there is no exception to only the highest fidelity and sharpness. This unique alternative model will effectively enhance the resolution characteristics of the 36.3-megapixel CMOS sensor by cancelling the anti-aliasing properties of the OLPF inside the camera. By doing this, light is delivered directly to the photodiodes, yielding an image resulting from the raw light gathering properties of the camera. A color moiré correction tool will also be available within Capture NX2 to enhance the D800E photographer’s workflow. 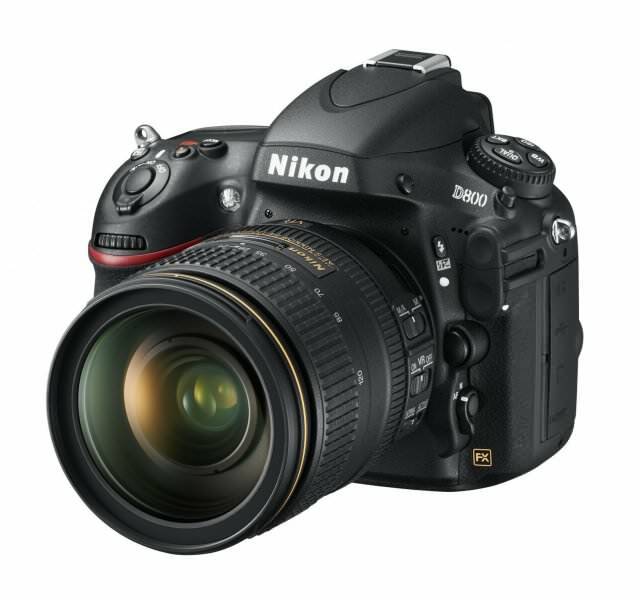 The Nikon D800 will be available in late March for the suggested retail price of $2999.95.1 The D800E version will be available in mid April 2012 for a suggested retail price of $3,299.95. For more information about these models, NIKKOR lenses and other D-SLR cameras please visit HYPERLINK “http://WWW.NIKONUSA.COM”www.nikonusa.com.